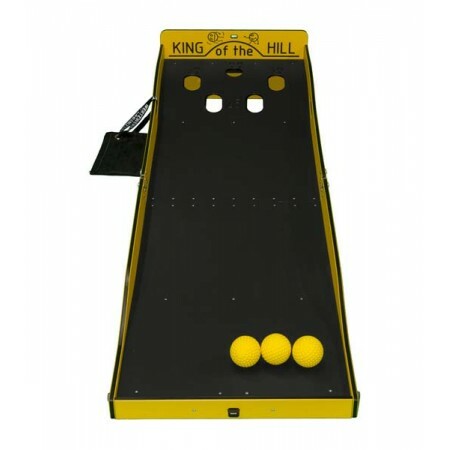 Become the king of the hill in this game of skill and determination! Roll three balls up the hill to land in one of the five holes. But take note - it's not as easy as it looks!